Winners of the Edmonton Folk Music Festival Emerging Artists Award and the 2016 All-Albertan Song Contest, 100 mile house have shared their unique brand of transatlantic folk at some of Canada’s biggest festivals. 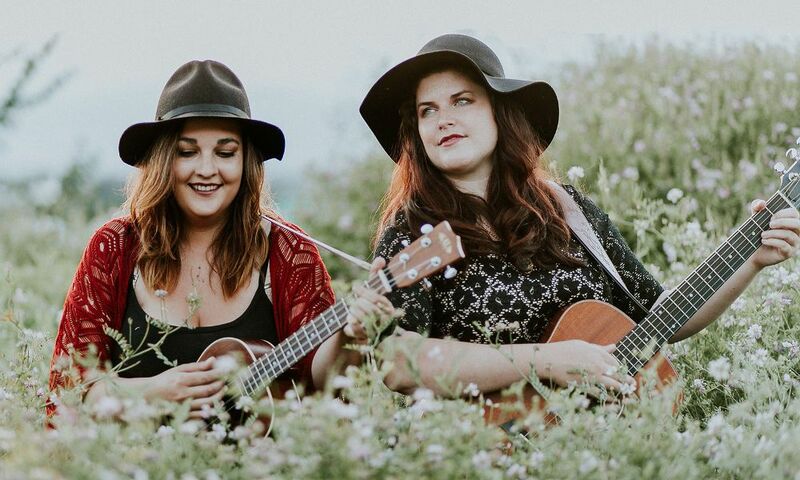 Their beautiful harmonies, rich arrangements and captivating lyrics have led to awards and nominations across Canada as well as radio play across the globe. They wear their trademark honesty firmly on their sleeves with songs discussing the loss of of a loved one (Hidden Springs) to the struggles and grief that can come with trying to start a family (Last Branch). 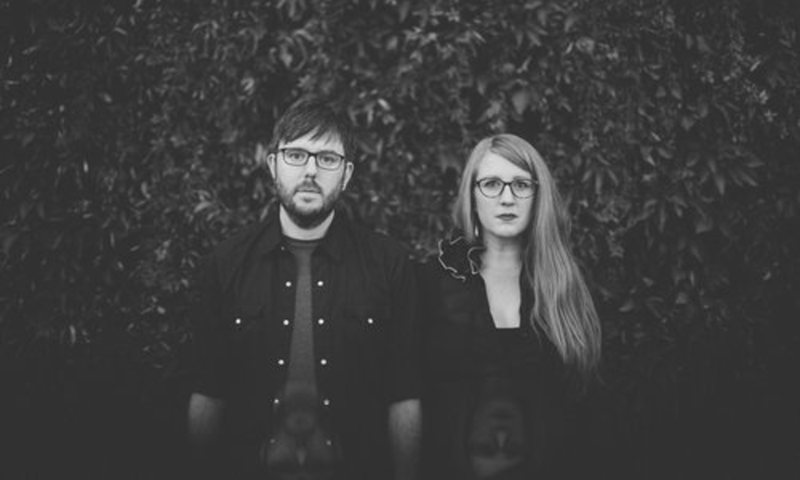 Their new album Hiraeth is a conversation about our deepest fears and the ability to find hope in the darkest places. Hiraeth was No.1 on CKUA and received stellar reviews including the front page of the Canadian Folk Magazine Penguin Eggs. Abby K is a 16 year old singer/songwriter from Tofield, Alberta who has a passion to perform with a unique and soulful voice. Her love for music is concentrated in the pop/folk genre. 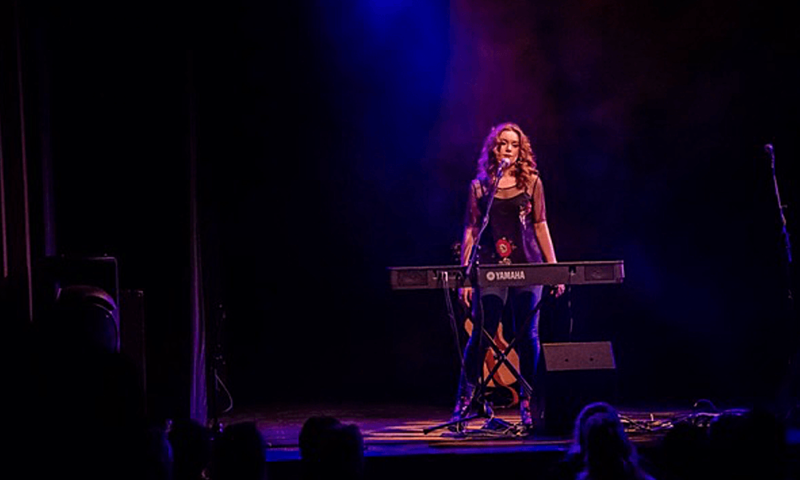 In the last year, she was a finalist at St. Albert’s Got Talent, Futuresfest and the Ship and Anchor Songwriters competition. She had the honor of placing 2nd at the Ponoka Stampede Talent search, took 1st place at Kalyna Idol and has been a semi-finalist at Big Valley for the past 2 years. Abby K has been busy writing 6 original songs that highlight her pop/alternative style. She is excited to release the first of 3 singles starting in April, available on all social media platforms. 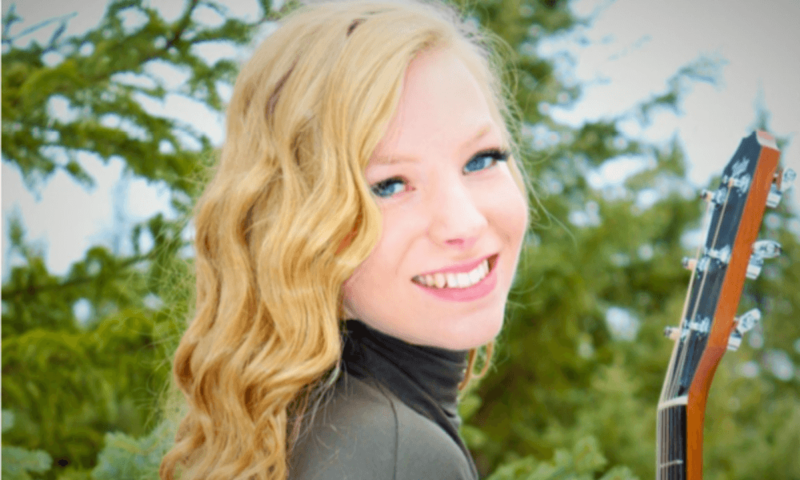 Ainsley Elisa is a 17 year old artist from Sylvan Lake, Alberta – Recently chosen as a top 10 early standout in the 2018 CBC Searchlight, her original music has attracted the attention of some Major Labels in Canada. Ainsley is in the middle of recording her new EP with Ryan Stewart in Vancouver which should be ready to be released early 2019. Ayla Brook is one of the truest raw songwriter’s on the prairies. From his beginnings in Lily Plain Saskatchewan, to success records recorded with AA Sound System, to now his solo work – Ayla has remained tried and true. His new release, “(I Don’t Want To Hear Your) Break Up Songs” is exactly that, a tapestry of hurtin’ and feelin’ tunes about life on and off the barstools. 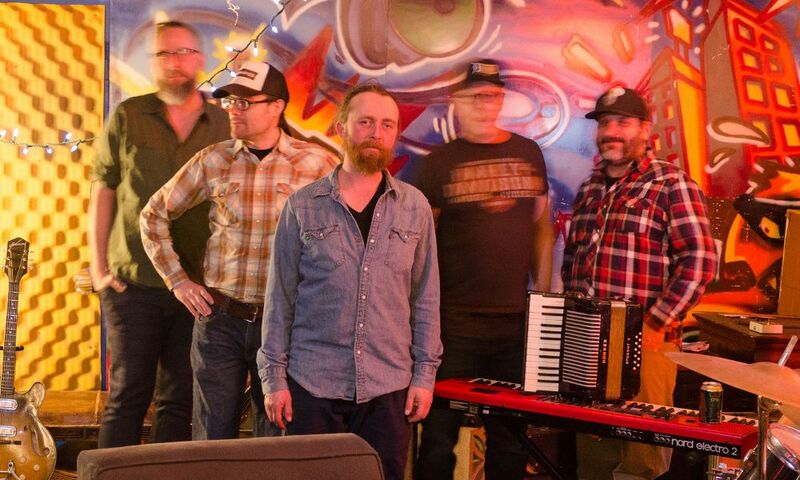 Joined by his regular 5 piece band, The Sound Men, Ayla can be seen packing the dance floors of Alberta honkytonks soaked in wine and whiskey. He’s made a name for himself on the road, supporting such diverse acts as Danny Michel, Bash & Pop, Daniel Romano and the Arkells and is always up for the next great adventure. 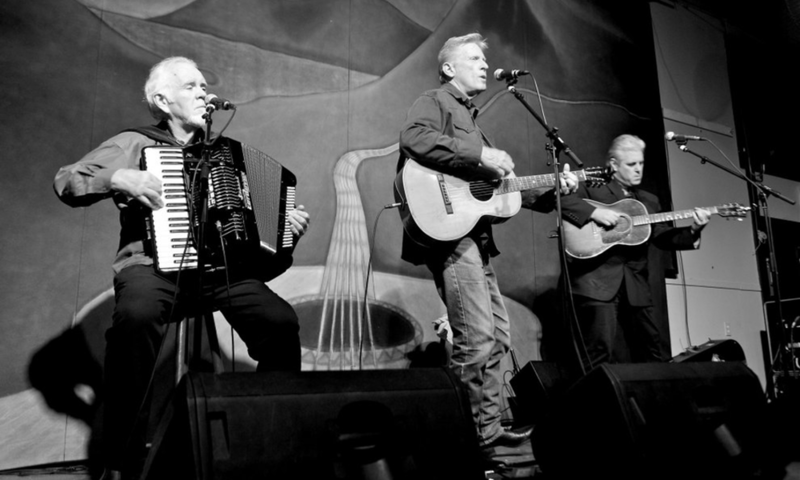 The Backsliders have been together for 36 years and performed at every WO&N plus backed up many artists at the festival. 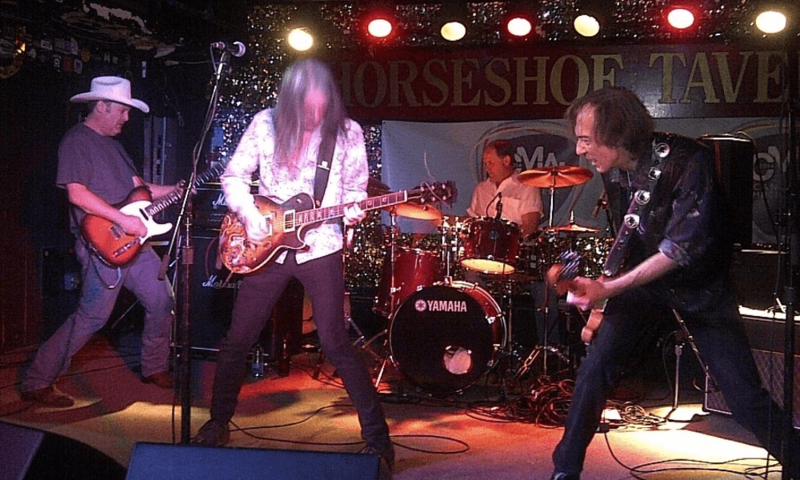 The original members include Bill Sylvester on drums who spends his winters sailing and playing in Latin America and Juno award winning Saxophonist Dan McDonald. Eric Martin is a versatile guitarist and singer who has played professionally for 35 years with a repertoire of over 1500 songs and performed in all manner of situations and recording projects. Bob Walker on Bass is a cute guy who has played everywhere. Dr. Glen Halls is an award winning composer and pianist who has played in the Jazz,Rock and Latin idioms for 35 years. He has released over 10 independent recordings and teaches Junior High School for the EPS. 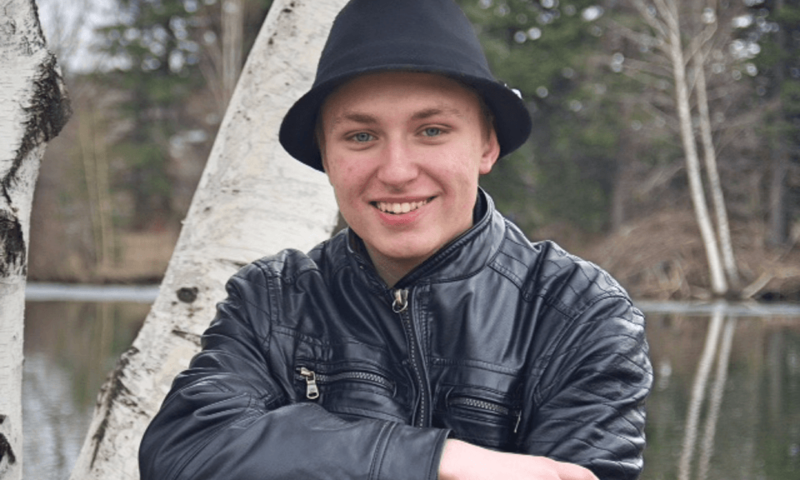 Benjamin Williams is a captivating 18 year old musician and singer-songwriter who’s quickly established himself as one to watch on the Alberta music scene. His career began with the classical guitar in 2004, winning numerous scholarships and accolades for his studies in the years that followed. 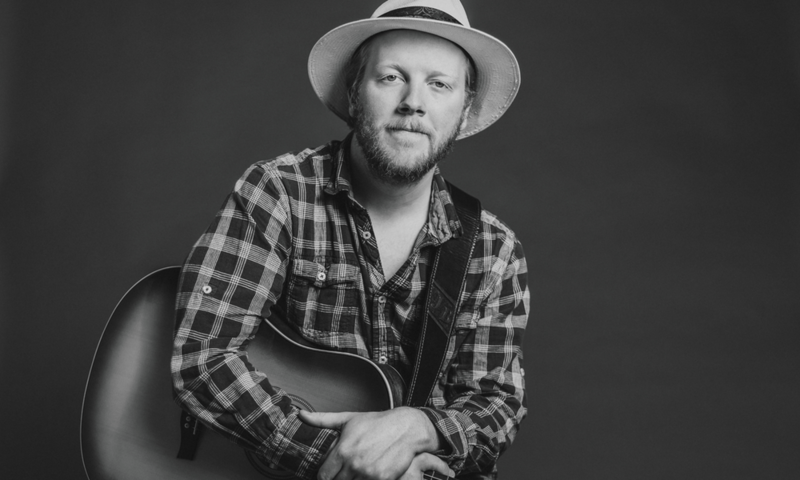 As an alternative folk-rock singer-songwriter, his most notable accomplishments include, but are not limited to: 1st Place Winner in Parkland’s Got Talent (2014), 1st Runner-Up at the Big Valley Jamboree Road To MainstageCompetition (2016), and Rising Star Award nominee at the 2017 Edmonton Music Awards. Benjamin released his debut EP Handshake To The World in 2016 to critical acclaim among fans and peers alike in both digital and physical form. Boogie Patrol has steadily built their reputation as one of Western Canada’s premier acts and has garnered acclaim and an enthusiastic following since the group’s inception in 2007. A 5-piece-group that continues to create superb original music based on their collective influences. We’re talking Blues and Rock’n Soul, with a dose of Funk all thrown into the melting pot to create the sound that is Boogie Patrol. A stylistically unique group that is all about bringing loads of energy to the stage and to their music, with a goal of appealing to all walks of life. Cayley Thomas is a musician and actress from Edmonton, Alberta. A graduate of the BFA Acting program at the U of A, Cayley spends most of her time penning soulful verses, playing guitar or learning lines. Most recently Cayley played the lead in Theatre Networks production of Infinity and is set to release a new full length LP later this year with the help of The Alberta Foundation for the Arts. Cayley is appreciative of the many artists in this province who continue to inspire and encourage her. A Celeigh Cardinal performance is a profound, soulful triumph of songs that blend roots, folk, rock and pop. Her voice at once evokes a gentleness and control which can turn to raucous, gut wrenching, twisted, turn-yourself-inside-out blues within a single phrase. 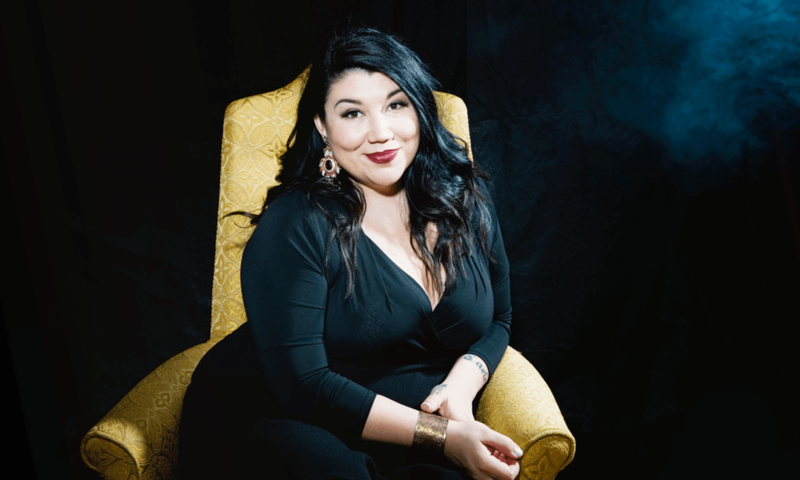 This Metis singer/songwriter is fresh from an international tour, and a multi award winning year. Celeigh is known for drawing emotional response with her deliberate words and rich contralto voice. She is based out of Edmonton, AB and usually performs with her trio or band. Del Barber is a Canadian singer songwriter whose musical style blends equal parts folk, rock, Americana, and alt country. Barber is no stranger to finding inspiration in the cultural backdrop of Canada. 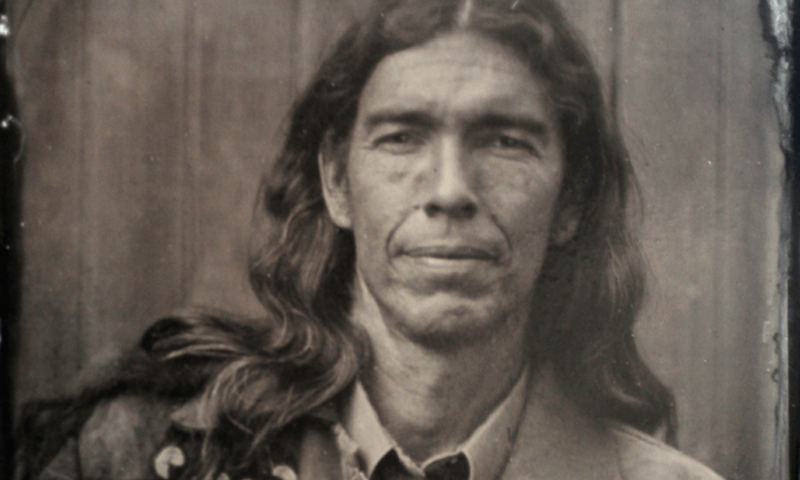 On his last record, the JUNO Award-nominated “Prairieography,” Barber documented stories of prairie life, highlighting the unique relationship between struggle, hard work and love. On his latest album, “The Puck Drops Here,” Barber explores a much more universal piece of the Canadian identity. Through a collection of time-honoured covers and three inspired original numbers, Barber explores our country’s unique love affair with hockey; one that starts young and lasts forever. Hugo and Grizz are joining the Wild Oats and Notes 2018 roster all the way from Guadalajara and bringing their signature brand of rocking blues music with them! Hugo Becerra has garnered more than a few significant achievements during his 17 year career. His first band “THE TEXAS MEATBALLS” was one of the first texas blues bands in Guadalajara in 1999 and became a regular fixture at the FESTIVAL INTERNACIONAL DE BLUES! 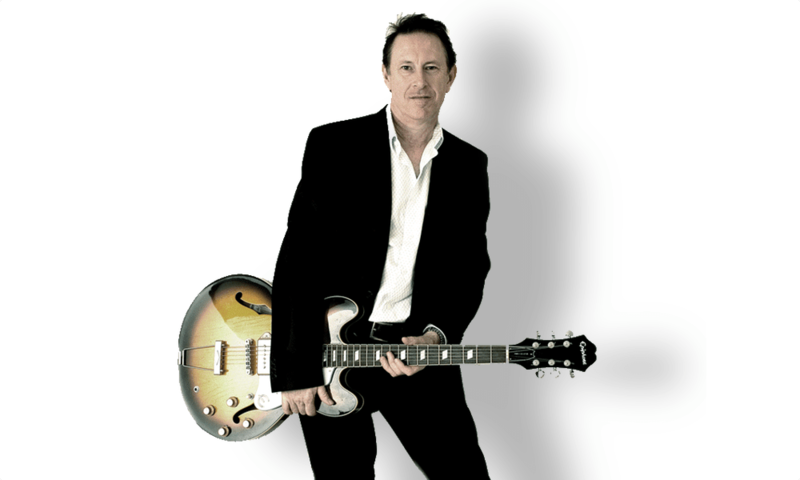 Hugo has since toured the Americas as a solo artist and as part of the Chester Blues Band, and spends the rest of his time supporting other artists in studio and on stage! 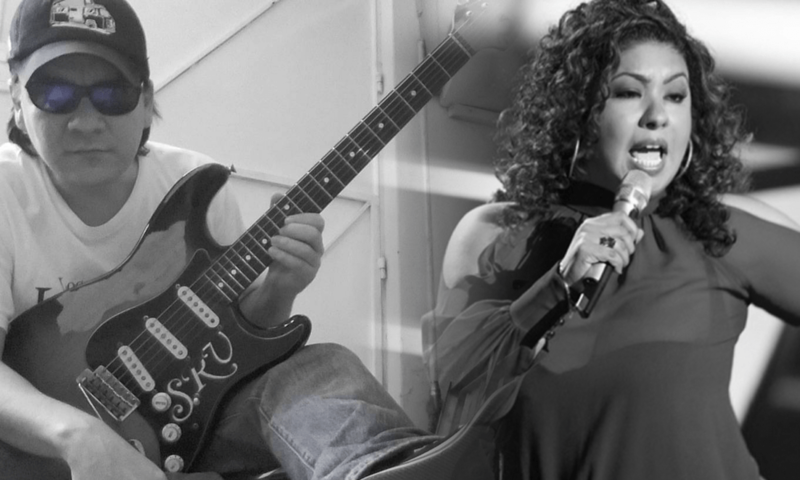 Griselda Piña (Grizz Piña) began her career as a professional singer at the age of 17, performing with a variety of musical groups including “The Revolution of Emiliano Zapata and Chester Blues Band”. Grizz has performed at international blues festivals across Mexico and has shared the stage with national and international artists. In 2011 she was featured on “The Voice” Mexico and recorded a single with singer-songwriter Alejandro Sanz. which found popularity disseminated on digital platforms, for what she considers to be a great experience in her career. Grizz is currently working in studio recording with the Chester Blues Band. 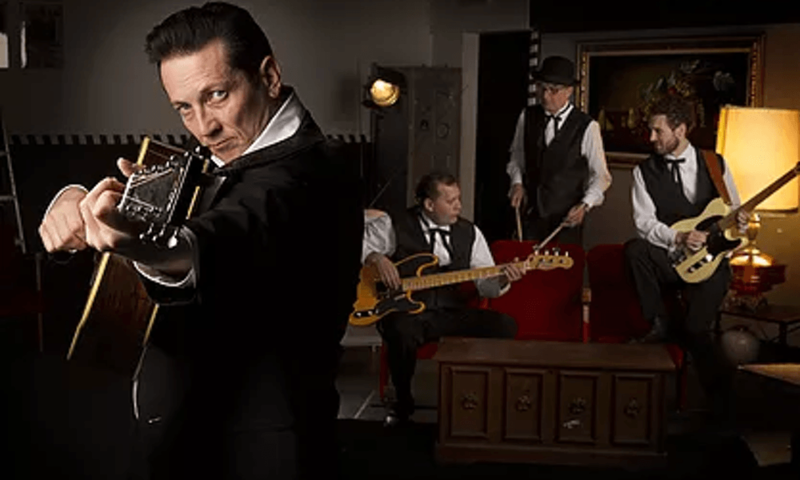 Guitarist, singer-songwriter Jack de Keyzer plays the blues world wide, from Alert, Arctic Circle to Puerto Escondido, Mexico; from Athens, Greece to Hornby Island, BC and many points between. One of Canada’s most awarded and in demand live performers and session guitarists, Jack has released 10 CD’s and 1 DVD. 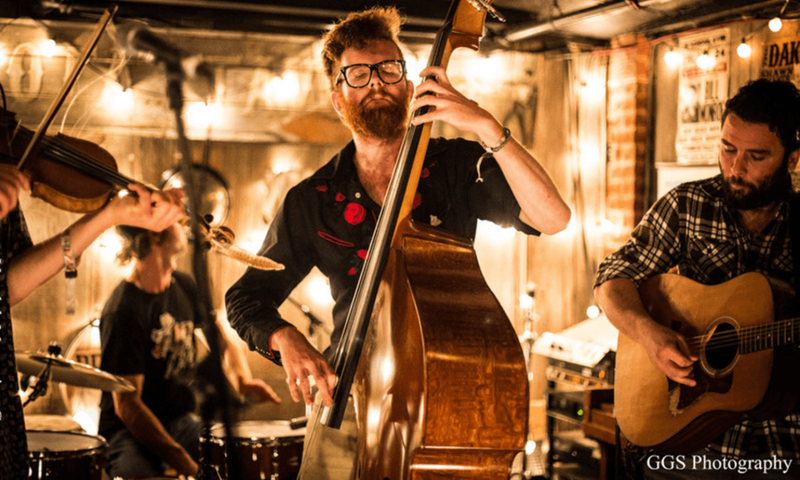 He has also played on hundreds of recordings and live sessions with artists ranging from Etta James to Ronnie Hawkins and Bo Diddley to Blue Rodeo. A much celebrated musician, de Keyzer has been nominated for the Juno (Blues Album of the Year) 5 times and won the Juno twice in 2003 and 2010. 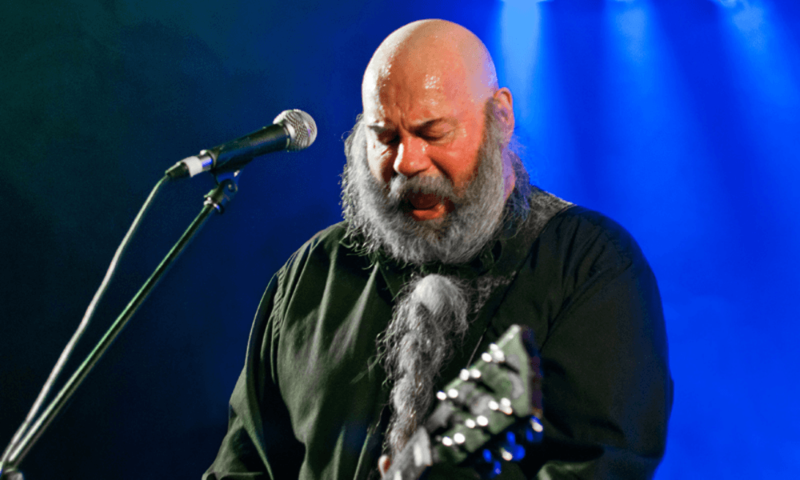 He has won 7 Maple Blues Awards (Canada’s national blues awards) , first place in the International Songwriting Competition and won CBC’s Great Canadian Blues Award from a poll of radio listeners. Always touring with an incredible band, Jack will have you rocking in your seat and swaying to his hot blues, soulful r&b and cool soul jazz. Jake Buckley is an Edmonton based signer/songwriter making a name for himself in Alberta. He has been playing and writing for nearly 10 years. 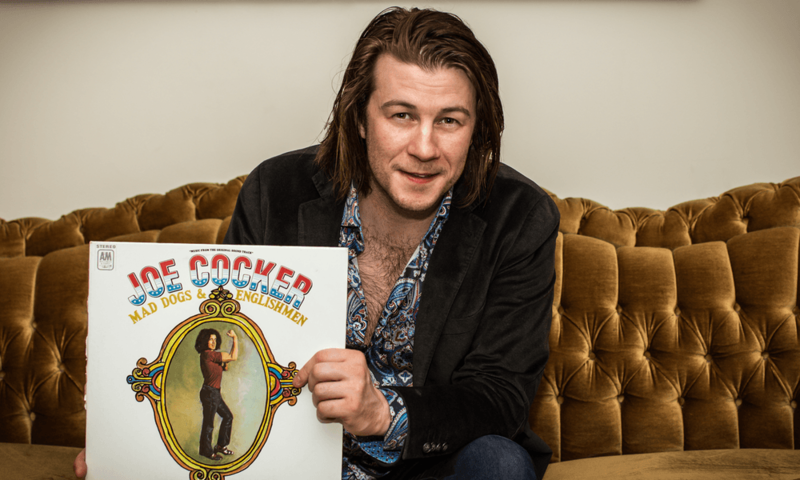 His raw, uncut style has proven to be a hit, winning multiple songwriting competitions and landing him many festival gigs, including the Wild Mountain Music Festival, and Beaumont Blues and Roots Festival. 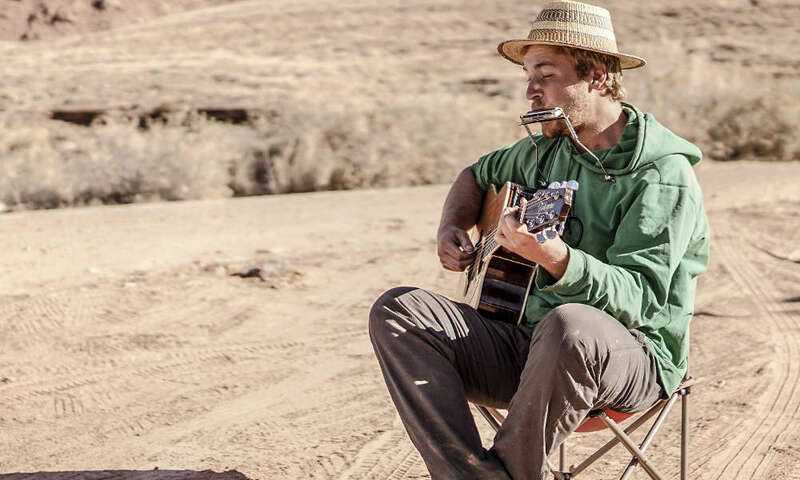 Whether playing a festival stage, in the pub, or around the fire pit, Jake’s music and energy is sure to have you on your feet and singing along. At once elemental and unearthly, Jay Gilday’s voice is a raw and gorgeous siren of the Canadian north, fusing hymnal anguish with driving rhythm and blues. And he is about to inscribe a special chapter in Canadian music history. Whether on the main stage of a summer festival or headlining a shadowy cabaret, Jay captivates. He is equally arresting as a solo performer, crooning over acoustic guitar and piano, as the front-man of an eight-piece rock band, baiting dance floors with infectious hooks and boundless energy. 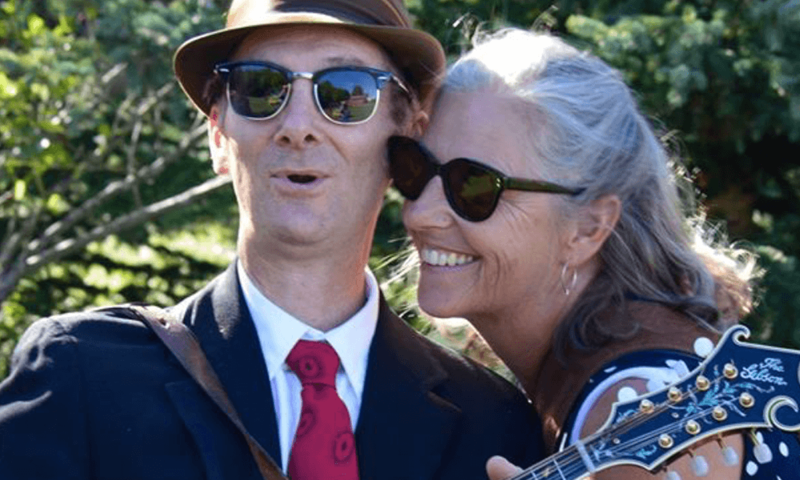 Jim and Penny Malmberg are a singer/songwriter duo who have been writing and performing for the past 15 years. Their writing focusses on love in its many forms served up with humour and passion. Who can’t use more love? Acoustic arrangements of guitars and mandolin leave plenty of room for beautiful harmony singing to convey their message. They’re back! And to say that they’re back with a vengeance is no understatement! After a brief hiatus spanning from 1995 to 2013, Jr. Gone Wild is on the scene once again! Coming out of the same Edmonton scene that spawned punky, power poppy bands like the Pursuit of Happiness and the Wheat Chiefs, ex-Malibu Kens singer/guitarist Mike McDonald formed Jr. Gone Wild in 1983. McDonald, while possessed of the punk-pop ethos, never took himself as seriously as most punks, and on a musical level was more interested in pursuing a deliberately sloppy country-rock fusion inspired by artists such as the (then) deeply unhip Neil Young or Gram Parsons. 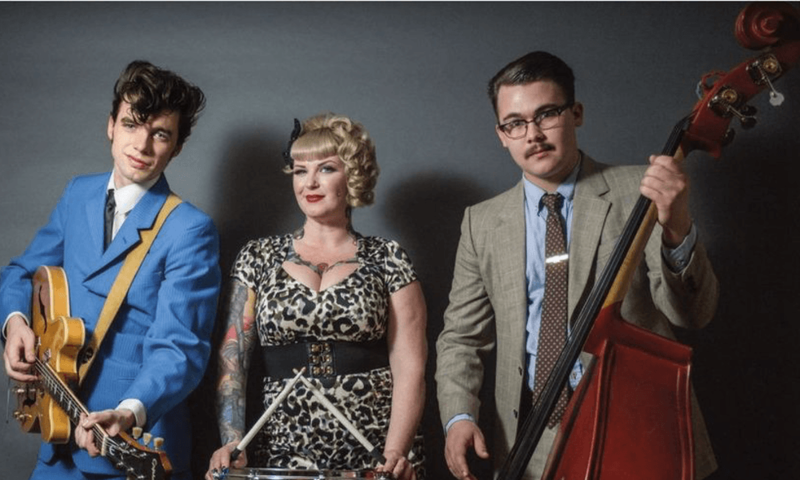 Calgary rockabilly star Howlin’ Pete and his Wolves will rock you back in time and make you want to shake it like it’s 1955! From hard hitting original rock and roll all the way to classics you may have forgotten you loved, you’re gonna shake it all night long. His 3rd album, “Alone in this Crowd,” feels like the soundtrack of a movie in the days just before they invented Technicolor. 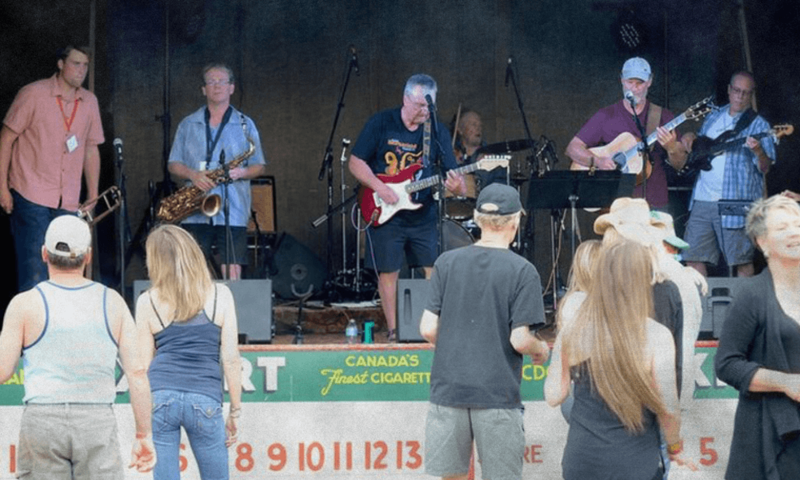 The sound may surprise those who remember deCarle as the lead vocalist and bassist of the iconic Canadian country roots band Prairie Oyster. He is no stranger to awards and accolades — his “Oyster years” were rewarded with six Juno Awards, more than a dozen Canadian Country Music Awards and enough gold and platinum records and #1 singles to fill a living room wall. Russell deCarle’s songwriting features songs that mix southern soul and restrained balladry, with obvious touches of jazz, blues, old-school country, and western swing. He’s absorbed all those influences, and he avidly listens to smooth soul singers and the men and women who made early country music so compelling. 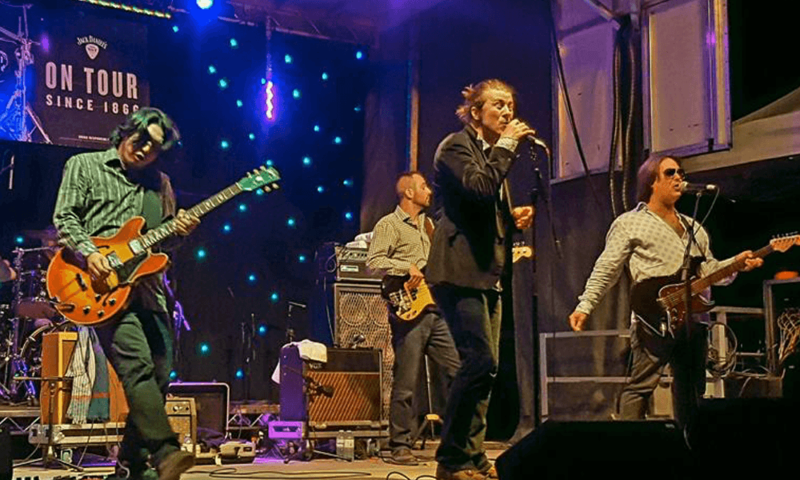 The Mad Dogs Experience is a hard working band paying tribute to the music of Joe Cocker, one of the greatest Rock and Roll, Soul and Blues singers of all time. Conceived by Dan Shinnan, the lead singer of Boogie Patrol, the Mad Dogs Experience put on an explosive live performance featuring classics like Delta Lady, Bird On A Wire, She Came In Through The Bathroom Window, Feelin’ Alright, The Letter and Honky Tonk Women. TMO have spent years weaving their stories with guitars and violins, with accordions and bass, with melodies and music makers gleaned from their wanderings. These troubadours will remind you that this music (no matter what kind of device it ends up on) could not exist without warm bodies in search of harmony. Tin and the Toad hail from the great plains of western Canada with a sound that rumbles like a freight train and whispers like the wind. Songs of whiskey, campfires, horses and broke-down equipment ramble into tales of love and loss rooted in western tradition yet deranged by the modern world. Four unique songwriters create a dynamic that blends together with an honest and authentic sense of community and passion expressed in four-part harmony with ease and familiarity. 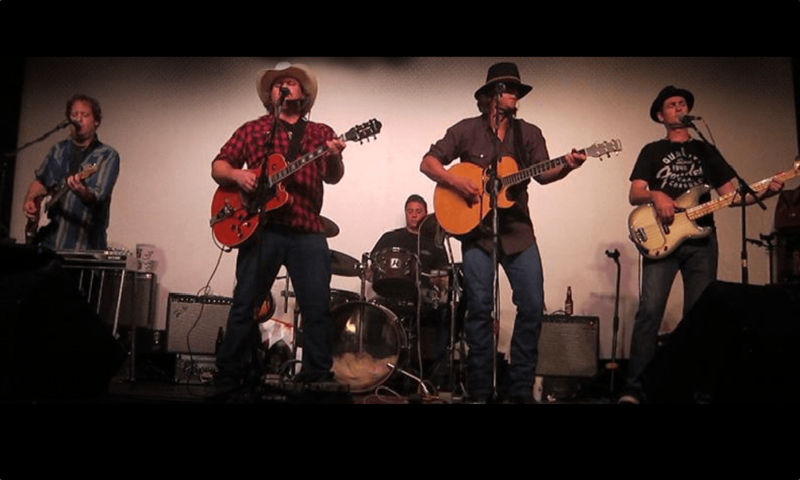 Travelling and performing across western Canada from their home province of Alberta, earning their spots on stages at folk festivals, ranch parties and rodeo dances to share their songs and stories with a variety of fine people…..and livestock. The hats they wear on stage are the hats they wear off-stage. Travis Matthews started playing music at 7 years old under the guidance of a very accomplished musical family. Now at the age of 22 he is making his mark in the flourishing Edmonton music scene. His performances are delivered with a grace and ease that is incomparable for his age, the sign of a true natural. 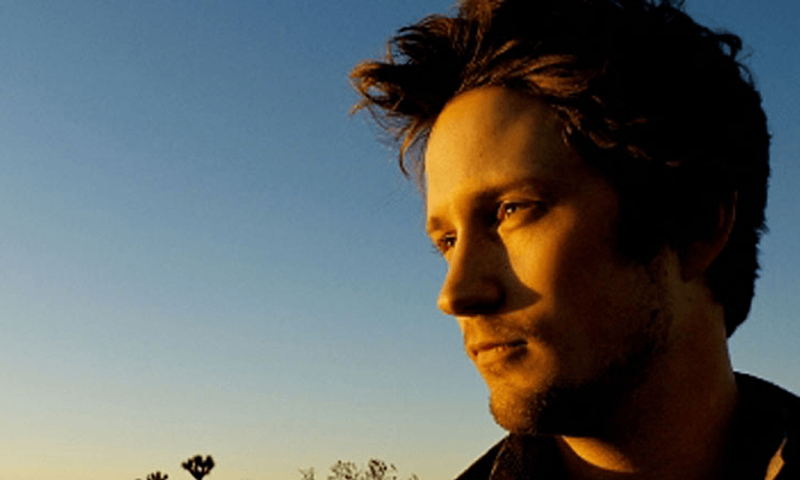 Hosting open stages at both Arcadia and the Dirtbag Cafe and possessing a catalog of material that allows him to play a variety of venues from house concerts to local pubs, his music has been likened to City and Color, and Jack Johnson, while his voice to Jeff Buckley, John Mayer, and Waylon Jennings. Travis finds joy and inspiration in all genres of music, whether it’s old jazz classics, Walt Disney theme songs or top 40. Tremoloco is an eclectic roots band who have been described as Sonoran Gothic Folk, Gulf Coast roots and Mexican-Americana. Blending Mexican music with Roots/Country music is no easy task. 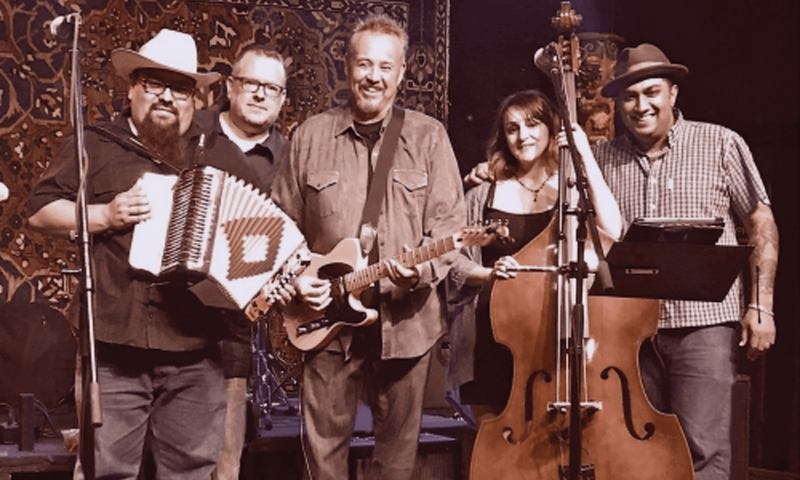 It certainly helps that they are well versed in several styles including Folk, Country, Honky Tonk, Tex-Mex, Rancheros, Cumbias and Zydeco all the while writing and performing original songs in both English and Spanish. 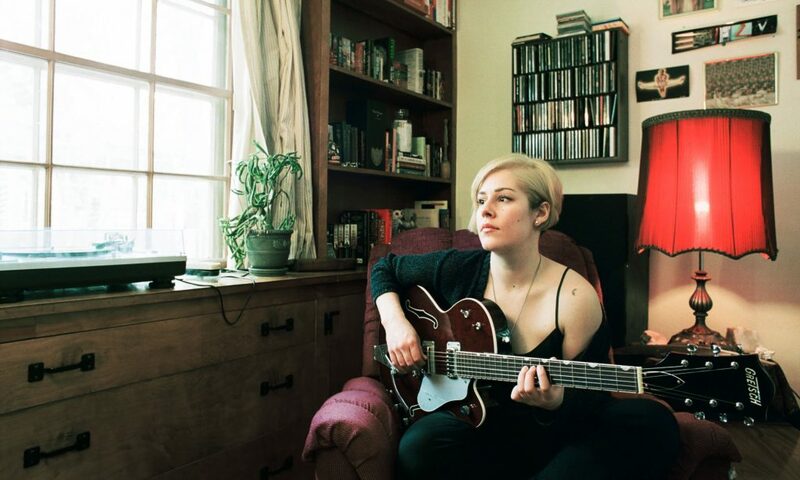 VISSIA [VISS-ee-yuh] is an old soul who bleeds blues through intimate, lyric-driven songs. 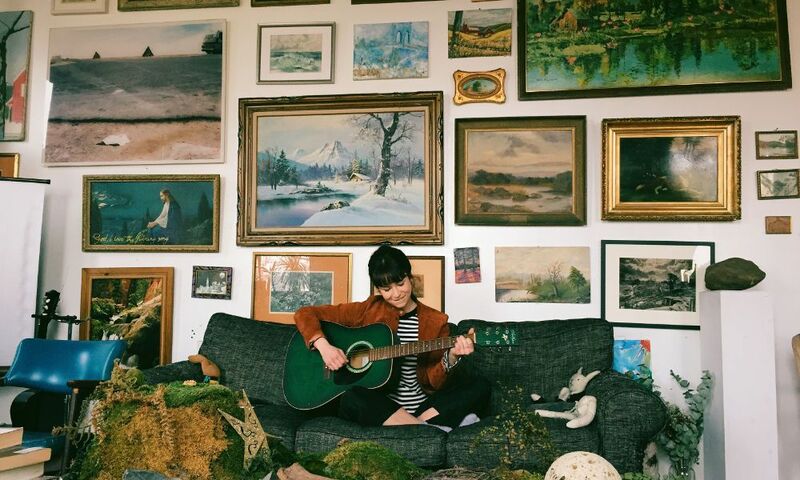 Raised in small-town Alberta, Canada, VISSIA has matured graciously as a musician. From composing, to recording, to album art and design, VISSIA’s ability to unite her talents and poetic instincts is a testament to her decade and a half engagement and perseverance in all areas of making music. Her new album, Place Holder, is “a must-listen.” (Katherine Duncan, CBC Key of A). This is pure rock ‘n’ roll at its finest from an artist who is set to breakout at any moment.